Beef with garlic butter and cucumber is one of the dishes that I like to make. If you do not like garlic butter I can recommend you to try it with bearnaise sauce. 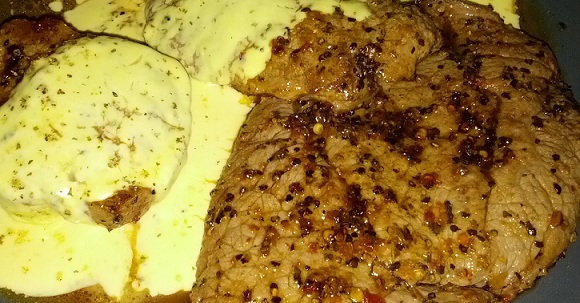 Beef with garlic butter or with bearnaise sauce is one of my favorite dishes now when on keto diet and it was actually also one of my favorite dishes before. 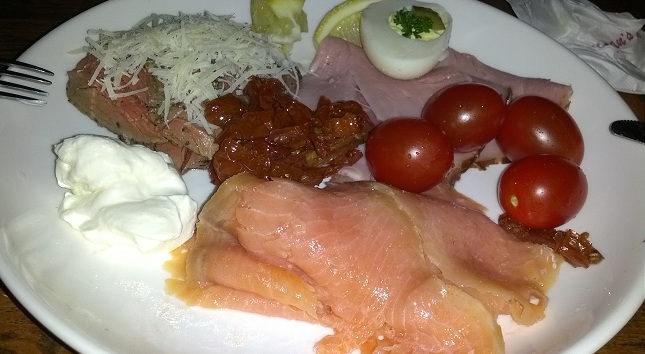 The only thing that has changed before and after keto diet is that I have removed the potato or french fries. 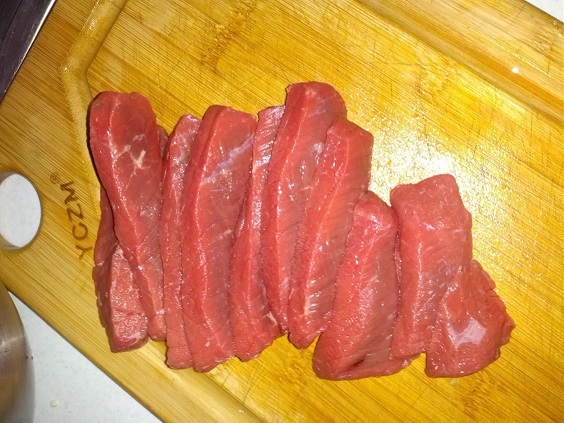 I sometimes buy a nice 300-350g piece of beef and fry it directly like that. Usually however i cut it up into smaller pieces. I feel it is easier to get it just just the way i want it when I do like this. I now only need to fry it roughly 1-2min per side and it is nice and red inside. The pieces are normally in this size. 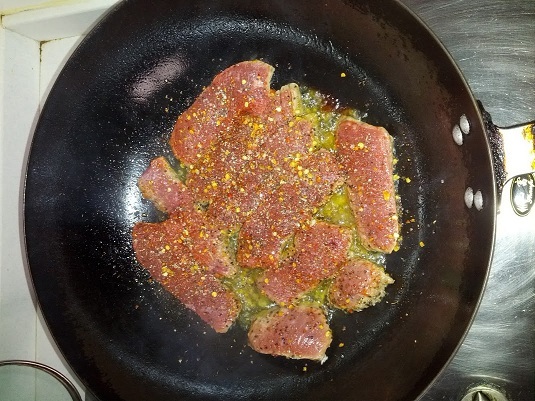 Then I usually either marinate them in olive oil and different spices (chili powder is mandatory) or I just put them into the frying pan like this. For frying I always use a big piece of butter and a little olive oil. I feel it gives both the best taste and also makes the food look really good. The garlic butter I always make myself. I think it tastes so much better than the garlic butter you can buy in the store. 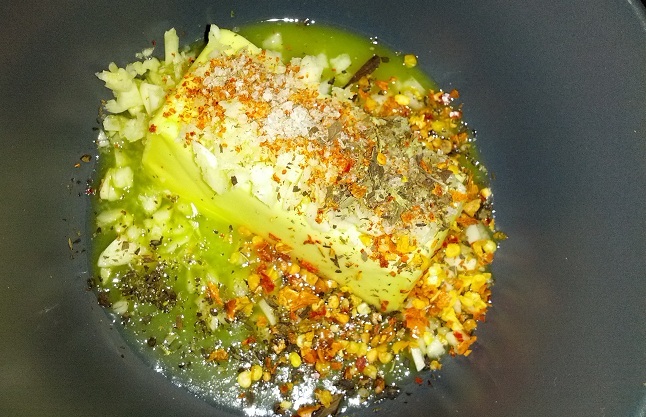 Also I like to add spices to the garlic butter also to make it taste a little more. Usually make a big bowl so I can use it for the rest of the week also. 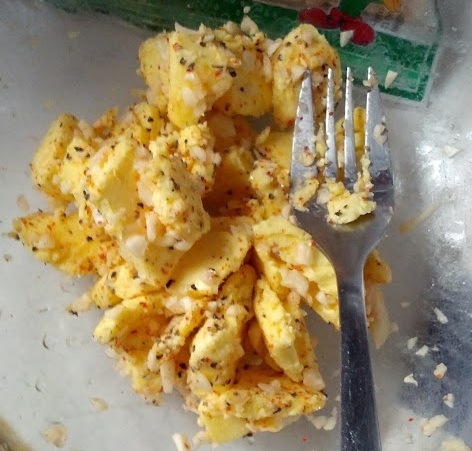 Easy to make, just take some garlic and cut it up into small pieces. Take a slice of butter (real butter) and mix it all in a small bowl. Add some salt and other spices if you want, use the things you like. To finish everything off I just add a little cucumbers. Not really necessary but I like the taste of cucumbers and a few vegetables can not be that bad… All served on a plate together. Takes a total of 10 minutes to prepare and tastes really good. 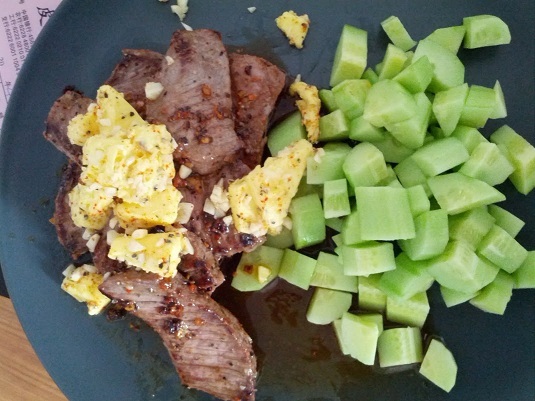 Beef with garlic butter and cucumber is a perfect keto food, try it out.